I fully agree with Tan Sri Mohammad Ngah, xPTU. The above quotation was extracted from this book. I had requested for this book from PTU and he was kind enough to oblige me. 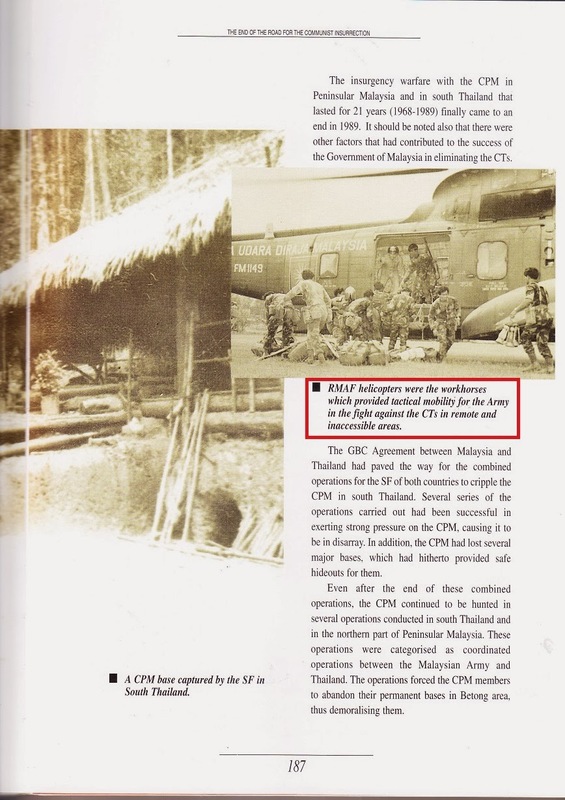 The above is on the chapter 'Factors That Led The CPM Lay Down Their Arms' of the book. 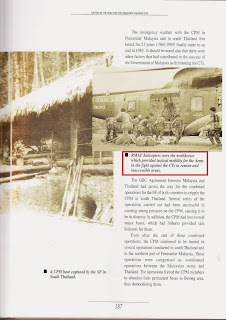 Well, I don't think I'm wrong in stating that the old but faithful iron birds were a contributory factor in expediting the signing of the 'Peace Agreement' between Malaysia and CPM on 02/12/1989 at Lee Gardens Hotel, Haadyai, Thailand. Come to think of it, I talk so much about the Nuri. It's like blowing my own trumpet about my adventures. I wrote 2 'self-proclaimed' best sellers...He...He...He. But, frankly, I don't know much about the history of this bird....Shame on me! Since time is not the limiting factor, I'm seriously thinking of embarking on a research on the roles of Nuri during the insurgency era in Peninsular Malaysia 1967-1989. The main problem I may encounter is to obtain primary data. This is where I sincerely hope that the relevant people/agencies would assist me, insyaAllah. 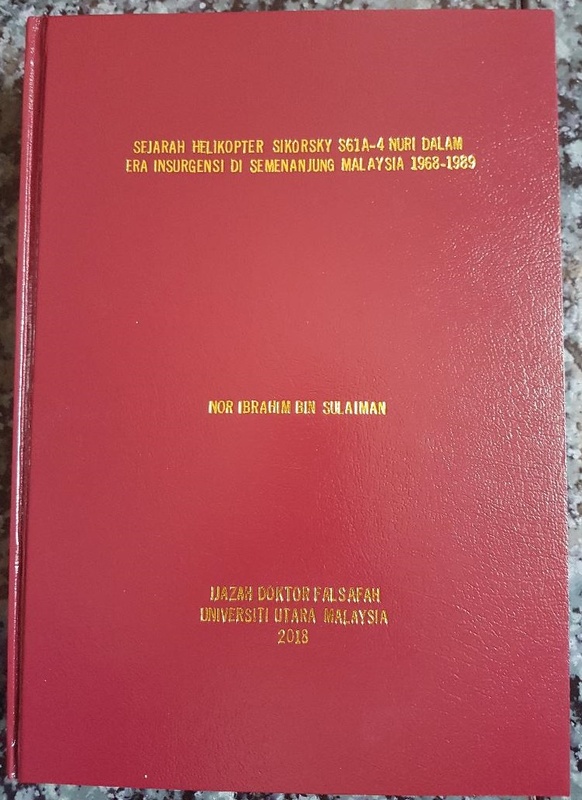 Among others, my research would include why Nuri was chosen; what other helicopters were considered; when the 1st set of air/ground crew were sent to USA, who & how many; when the 1st batch of Nuri arrived at Port Klang; when the No 10 Sqn was formed & who was the 1st OC; distribution of the birds to No 7 & No 10 Sqns. Not forgetting, the number of sorties & hours flown, total troops/freights carried during those period. Last but not least, the RM that the government spent for the deployment of these indispensable strategic air support machines. Without these data, whatever research done would not be credible, wallahualam. I hope readers out there are willing to assist me in my pursuit to document a piece of history that helped to hasten peace to this beloved nation of ours...Malaysia. Your input are most welcomed. Thank you. Greetings Mej Nor ! A good place to look for some of the earliest names would be the Squadron 'Totem Poles'that used to be standing in the various Squadron crew rooms !I hope they still have them around ..
Salam to Nor Sulaiman. The Nuris were bought during the tenure of office of Tan Sri Sulaiman Sujak. I am sure every one knows that!! Tan Sri has some interesting tales to tell about the acquisition of the first batch of the helicopters! Check with him if ou have not done so! Thank you. I think only No 10 Sqn has the totem pole. I'll check with the CO, insyaAllah. Thank you. I haven't contact TS Sulaiman Sujak yet. I'll call him soon, insyaAllah. As we speak X PTU .Lt Gen (R) Tan Sri Mohammad Ngah Said passed away a few hours ago at 6.05 PM at hospital Tawakal . May Alkah ASW the all mighty bless his soul. Much regret if I took too long to respond. Other than my personal errands including looking after my dear wife who had successfully undergone a minor surgery, others are excuses, including managing bad golf scores. 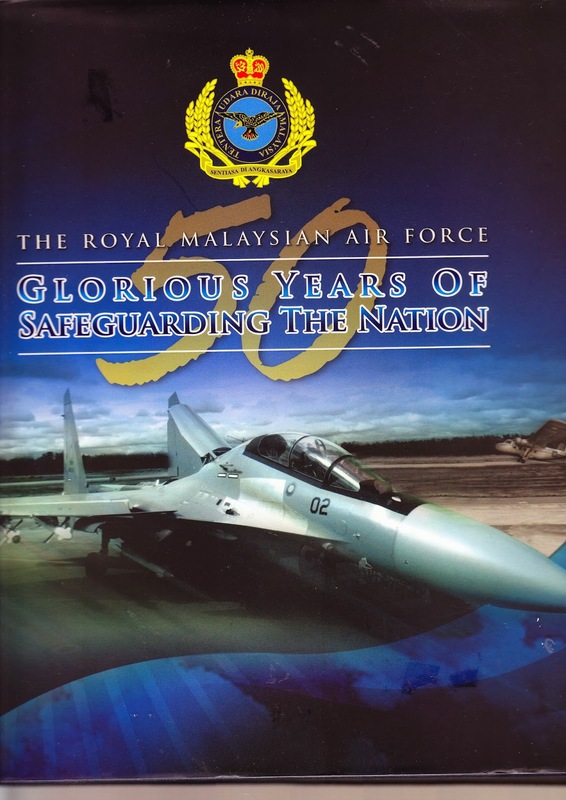 I agree the best person to give the correct information on how the RMAF went about to purchase the Nuri is AVM Tan Sri Sulaiman Sujak. In 1967 I was in USA undergoing my flying training in Texas and Alabama and I had very little knowledge on the subject which you require me to deliberate. In 1974 I was SO2 Heli Plans at Air Staff Division and I wrote the service paper for the additional Nuris to be brought into the RMAF inventory. We can discuss about it privately if you need more details on how Sikorsky Aircraft (United Technologies) played the role to meet our urgent helicopter support for the army.